Universal - protection against chewing by horses Cribox anti - Biting protects all wood surfaces such as doors, walls, boxing, horse trailer, rods, etc., as well as associations, leather gear, ropes, blankets and other things before pitting of the horses. 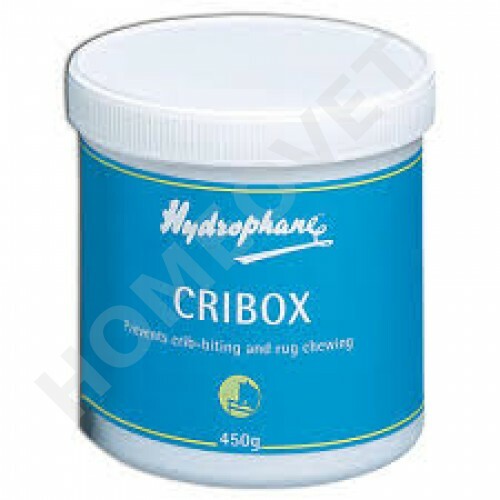 Cribox is composed of natural defense compounds and is completely safe when used properly. Betadine disinfectant ointment for wound care.